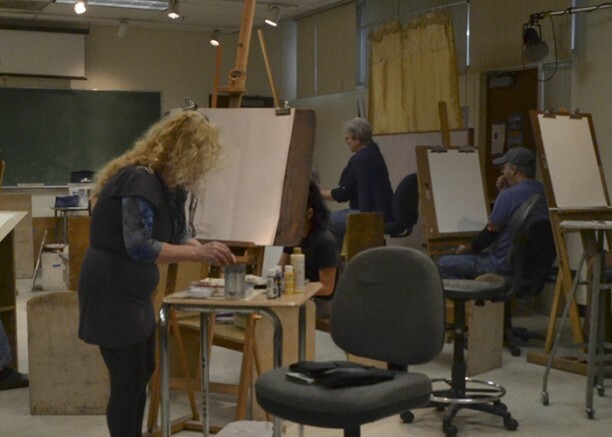 American River College has provided professional and student artists an opportunity to join together for weekly figure drawing sessions in the Fine Arts Building. ‘Figure Friday’ is an open life workshop sponsored by the art department, allowing for a cheaper and easier way to access figure drawing sessions in Sacramento. The event is held every Friday of the spring semester in Fine Arts room 510 from 2:30 p.m. to 5:30 p.m. for $5. “As the only figure workshop in town that is under $10 per session, it is looked forward to by many artists around town,” said art professor Sarah Mattson. Mattson created the event in 2007, with its purpose being to offer a more creative outlet and opportunity for ARC students. ARC is the only Los Rios Community College District campus to run such an event. The event allows for almost any form of art, including drawing, painting, pastels, sculptures and digital media, but excludes photography. The event is open to all students, faculty, staff, and professional artists. Sharriyona Platt is a first-semester student on the current, where she serves as a staff member. She is a Fashion Merchandising and Journalism major and plans to transfer after graduation. Be the first to comment on "Art department provides figure drawing workshops for students and faculty"